WASHINGTON - The National Coalition of African American Owned Media (NCAAOM) denounces the Federal Communications Commission ("FCC") as incompetent and unfair because of their failure to file the Triennial Report Section 257 to Congress prior to vetting Comcast Corporation's ("Comcast") proposed merger with NBC Universal ("NBCU"). Specifically, Section 257 of the Communications Act, requires the FCC to submit the Triennial Reports every three years "identifying and eliminating…market entry barriers for entrepreneurs and other small businesses…." The FCC submitted the required reports for 1997, 2000, 2003, and (several months late) 2006, but the FCC has not yet submitted its 2009 report. "FCC Chairman Genachowski's shameful disregard to fulfill the statutory mandate of the Communications Act is utterly appalling and frustrating on many fronts, especially in light of Chairman Genachowski's recent submission of the Comcast-NBCU merger order to the FCC Commissioners prior to filing the overdue Triennial Report to Congress," said Stanley E. Washington, President and CEO, NCAAOM. "The FCC had sufficient time to produce the report and their flagrant disregard of their critical obligations to the law is no longer tolerable. Furthermore, it is unfortunate that the current FCC failed to address the last report to advance minority ownership and eliminate barriers for entry but consequently marginalized minorities voices. President Obama and his administration promised us change. Now is the time for the FCC to deliver on change and stipulate strict merger conditions to ensure African American wholly-owned media companies have no barriers to entry in order to access cable television bandwidth immediately on Comcast Cable's platforms. Moreover, the Memos of Understanding with various minority groups are intentionally biased, flawed and disingenuous. A minimum of 50 channels must be set aside for wholly-owned African American media companies. Shame on Julius Genachowski. He knows that the Comcast-NBCU merger should not be approved until the mandated 2009 Triennial Report, which is long overdue, has been filed, and the new Congress has sufficient time to review. Given the biased Memos of Understanding with the civil rights organizations that have accepted donations from Comcast-NBCU which creates a huge conflict of interest, and the FCC's failure to file the mandated Triennial Report, this merger, if approved, will be successfully challenged. Obama and his administration cannot turn their backs on the African American community and the voices of future generations. They have the opportunity to embrace all minorities right now in a meaningful way. In order to have a true democracy, all of our voices must be widely distributed and truly heard. No inclusion. No merger," stated Washington. The National Coalition of African American Owned Media (NCAAOM) is working to ensure that African American Owned media companies are given the same opportunities as their non-African American counterparts to own, produce compelling content, access distribution, and flourish in today's integrated media landscape. The organization is focused on creating sustained equality through ownership as a means of rectifying the continued racial imbalance within the competitive media industry. 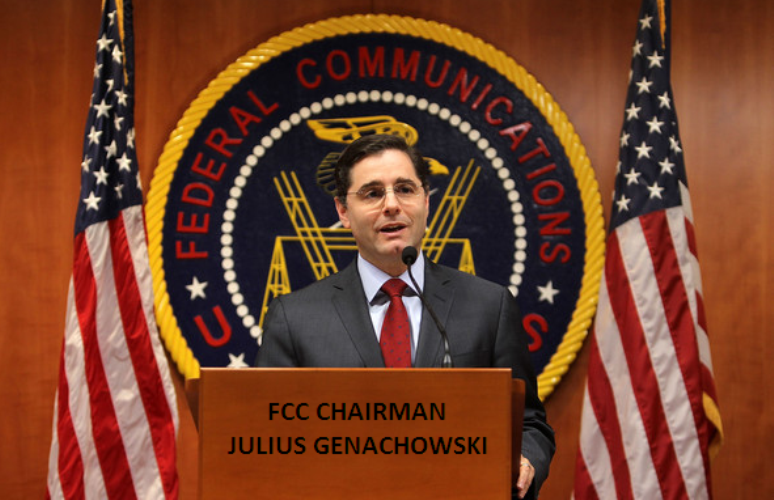 Members of the Project 21 black leadership group are questioning whether FCC Chairman Julius Genachowski's approval of the NBC Universal-Comcast merger was contingent upon the two companies making major concessions to minority special interest groups. Project 21 full-time fellow Deneen Borelli, who is calling for a Congressional investigation, says the FCC may have tacitly approved the "race card" being played against the companies. "It would seem corporate shakedowns are still alive and well in 2011," said Borelli. "It's appalling that General Electric and Comcast are allowing themselves to be bullied by special interests. The fact that Genachowski jumped on board to essentially give the Obama Administration's seal of approval so soon after the race-hustlers gave their go-ahead appears to be more than just coincidence, and it's something that deserves the attention of congressional investigators." General Electric owns NBC Universal. According to Matthew Boyle, writing in the Daily Caller, Genachowski's support for the NBCU-Comcast merger came less than a week after the companies entered into "memorandums of understanding" with black, Hispanic and Asian special interest groups. The payout includes $20 million for "minority entrepreneurs," six new minority channels (of which at least the black channels will include race-specific ownership guarantees) and influence over programming. Those memorandums were signed on December 14. Al Sharpton's National Action Network, the NAACP and the National Urban League wrote to Genachowski in support of the NBCU-Comcast merger on December 16. On December 23, Genachowski announced his own support for the merger. In addition to his group signing the group letter, Sharpton announced in mid-December that he was involved in meetings with FCC officials -- meetings purported at the time to be about talk radio host Rush Limbaugh. Influence gained by these racial special interests in the deal with regard to programming includes possible oversight of the news division. According to the memorandum of understanding with the NAN, NAACP and NUL: "NBCU will strive to ensure the presentation of diverse viewpoints by seeking the expanded participation of minorities on its news and public affairs programming. To advance this goal, NBCU will consider suggestions from the African American Advisory Council of individuals who could be considered for such participation." "The federal government's role in approving mergers is supposed to be predicated on the best interests of the consumer," added Project 21's Horace Cooper, an attorney and member of the board of directors of the National Center for Public Policy Research, which sponsors Project 21. "Shakedowns and set asides should play no role in the process." Project 21's Borelli added: "It's an affront to free enterprise and fairness for specific groups to be given special treatment. The election of President Obama was allegedly supposed to herald the end of preferential treatment, but it sadly appears that it is not. In a time of slow economic growth and high unemployment, giving financial advantages based on color can only increase racial tension and decrease sound business decision-making."